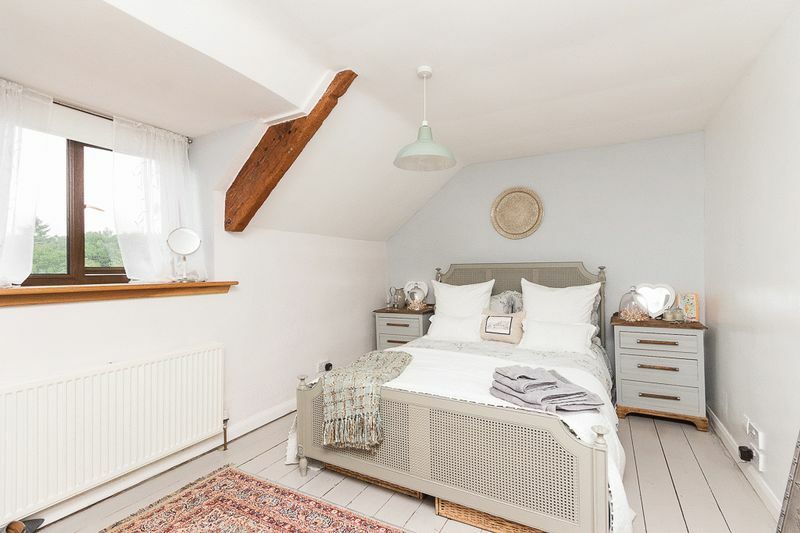 A four bedroom barn conversion that has been heavily renovated over the years with many improvements being made throughout. 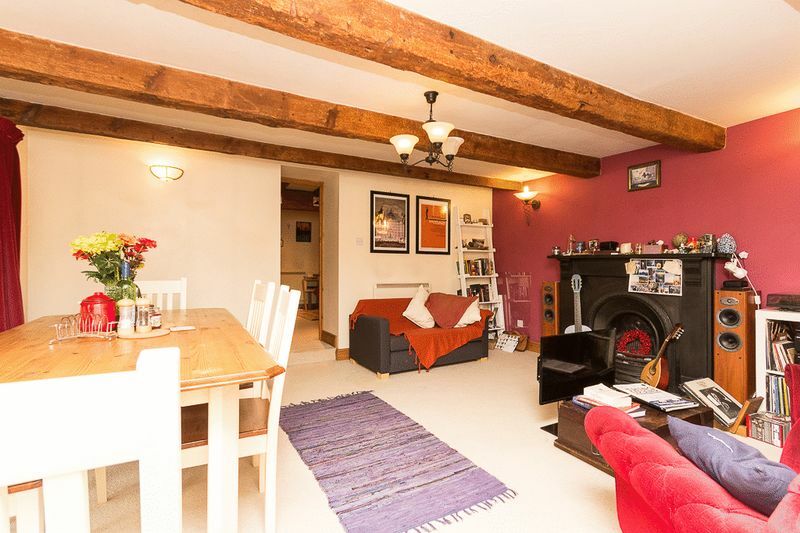 Full of character and charm with features such as a wood burner, exposed beams, exposed stone walls and timber flooring! 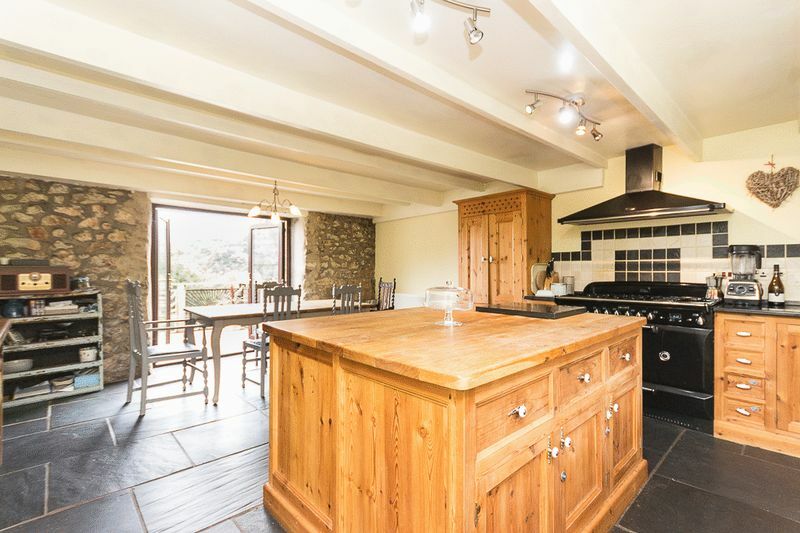 The kitchen/breakfast room is an impressive room and is the heart of this lovely home - a real social space! 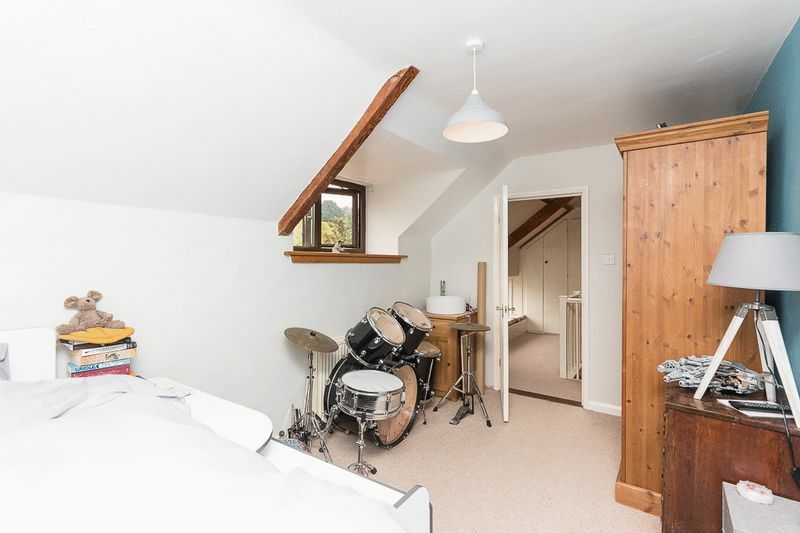 In addition, there is a self-contained one bedroom annexe located on the lower ground floor great for a family member wanting independence or private letting for additional income. There is also scope to incorporate this into the main house subject to any necessary consents. Within the Teignbridge district, Kingsteignton is a town that lies at the head of the Teign Estuary to the west of the coastal towns of Teignmouth and Shaldon. 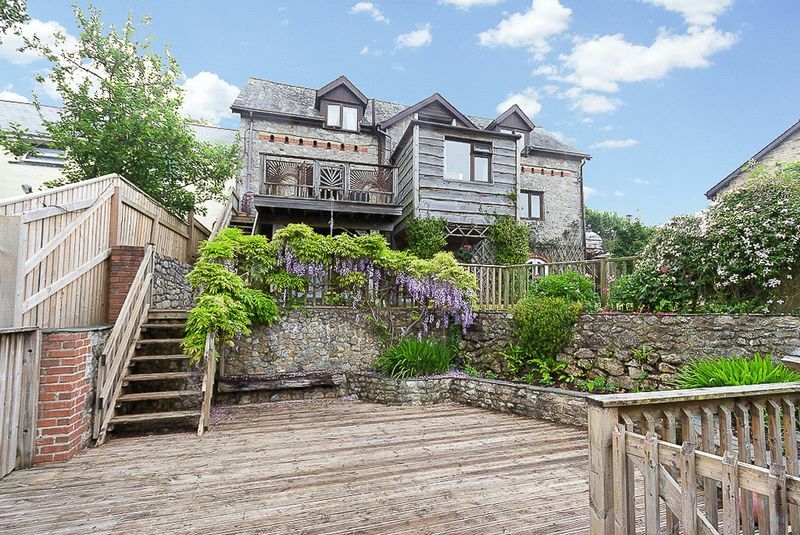 Dartmoor National park is a short drive away along with Stover Golf and Country Club and Park. 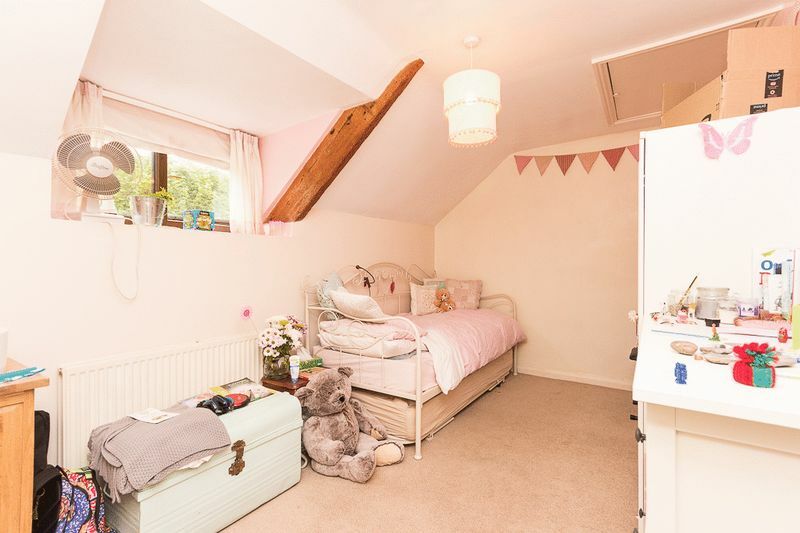 With convenient access to the A38 to Plymouth and the A380 to Exeter with access to the M5 and Exeter International Airport. The market town of Newton Abbot is only a few miles away, providing a main line railway to London Paddington. Local amenities in Kingsteignton include supermarkets, shops, library, post office, pubs and a range of leisure facilities. There are two primary schools in Kingstaignton, Rydon and St Michael's, the secondary school is the popular Teign School which also includes a 6th form college. 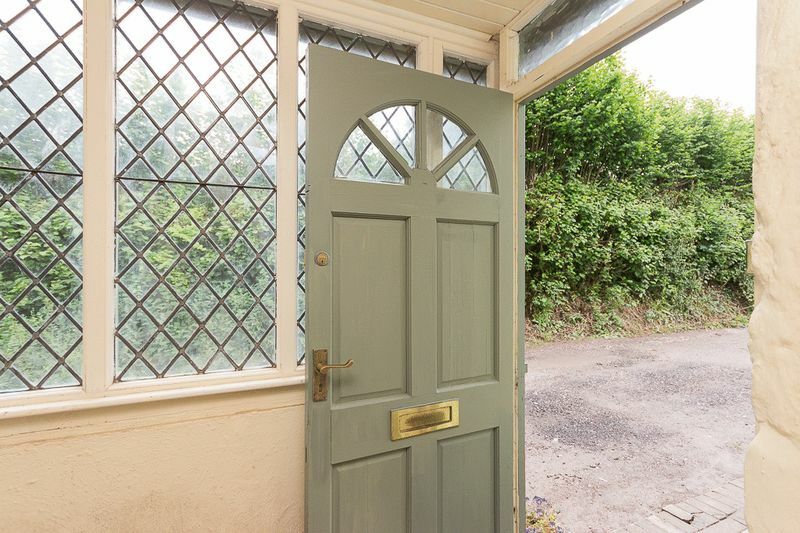 You enter the property into a very useful boot room/porch, a further characterful wooden door opens into the inner hall fitted with an attractive oak floor which continues through into the living room. 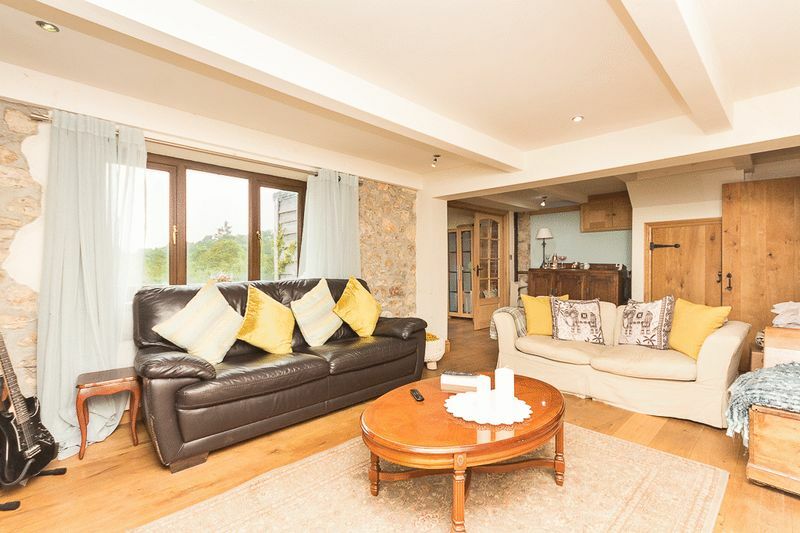 The living room is a large reception room illuminated by spotlights and a well positioned window boasting spectacular views across the tree tops and towards Haytor! 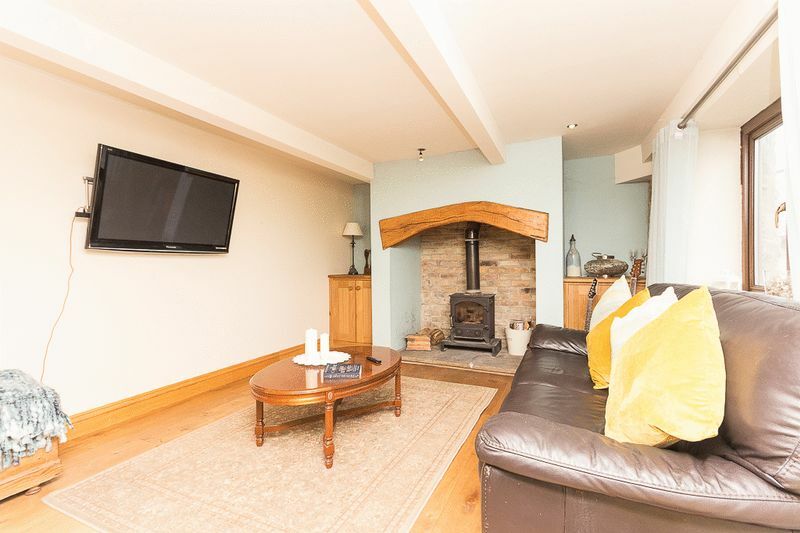 The property benefits from many character features throughout, this room especially with the feature fireplace with arched timber lintel and wood burner positioned on a raised hearth with fitted storage cupboards to either side and a partly exposed stone wall. 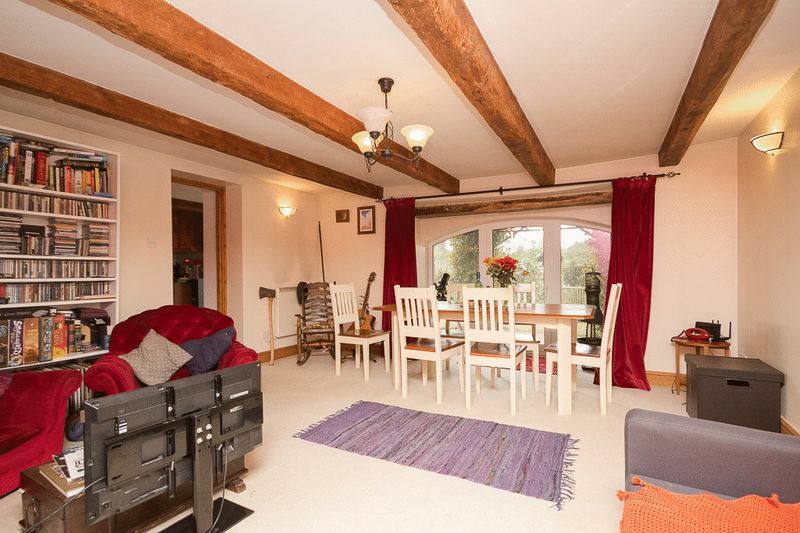 There is an under stairs storage cupboard and glazed oak doors opening into the dining/reception room. 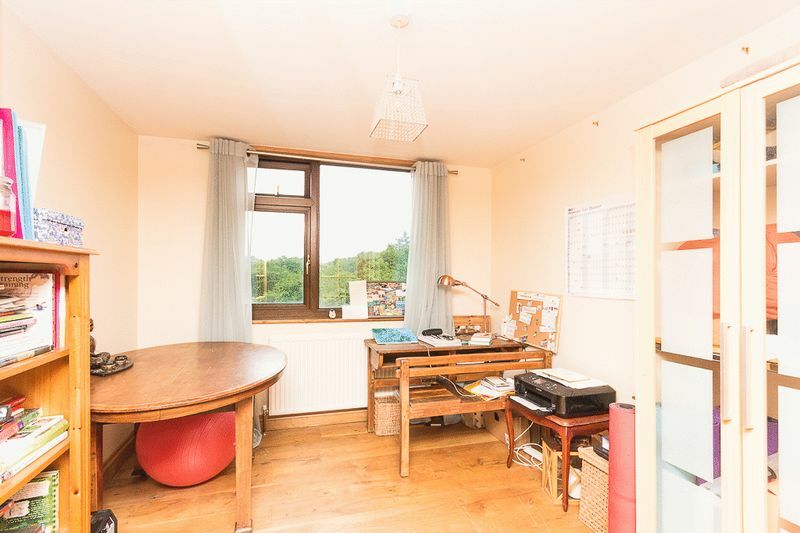 This is a very versatile room which could be used as a playroom, hobby room, study, snug, yoga room and many more! Also enjoying those same glorious views towards the moors! What a place to dine! 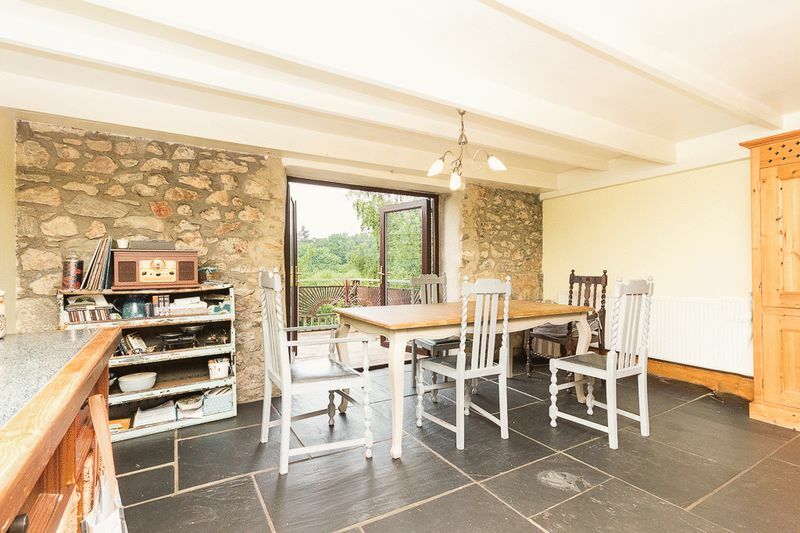 The kitchen/breakfast room is a wonderful family room which has been beautifully fitted with a slate flagstone floor with double glazed French doors leading onto a raised decked area to the rear, overlooking the tree tops with distant views to Dartmoor! WOW! A further window overlooks the front elevation offering a dual aspect and allows lots of natural light to flood in the room. 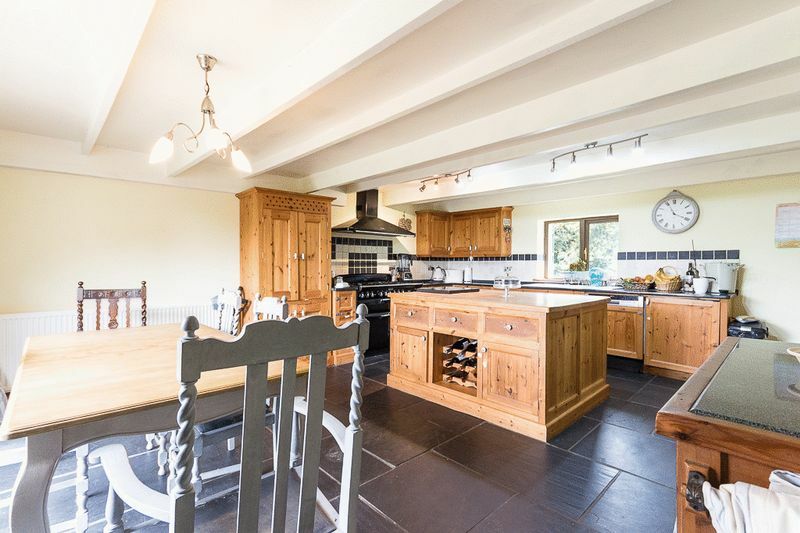 The kitchen area has been fitted with a country style kitchen with granite work surface over, incorporating a ceramic sink and drainer with tiled splashbacks and an integrated fridge and dishwasher. 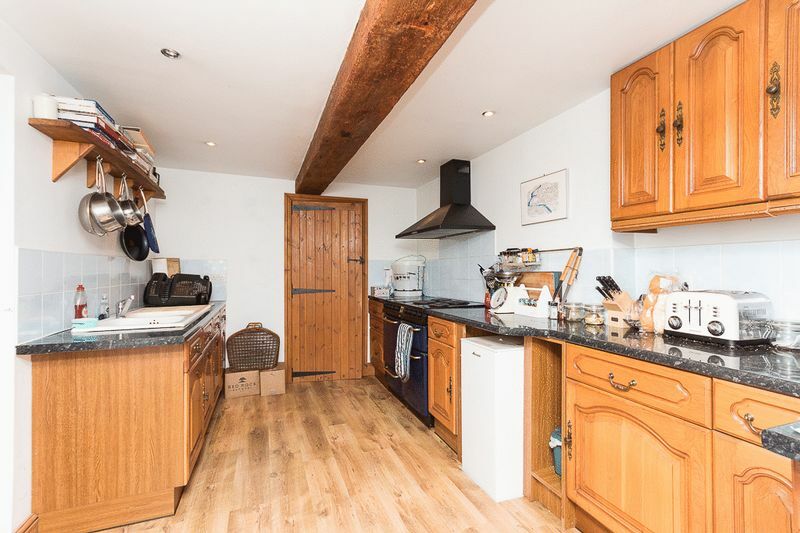 Fitted central island with oak top and aged pine cupboards, drawers and wine rack beneath. 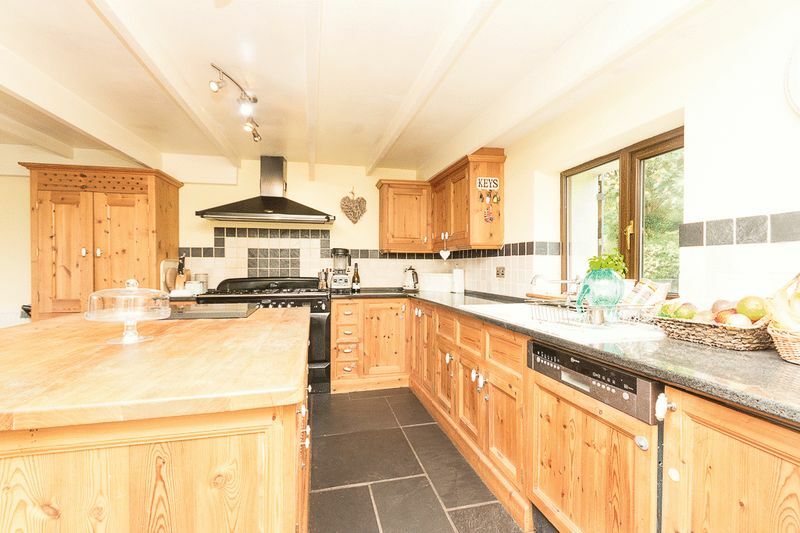 Rangemaster range cooker with six burners, double over, grill and pan drawer and extractor hood over. 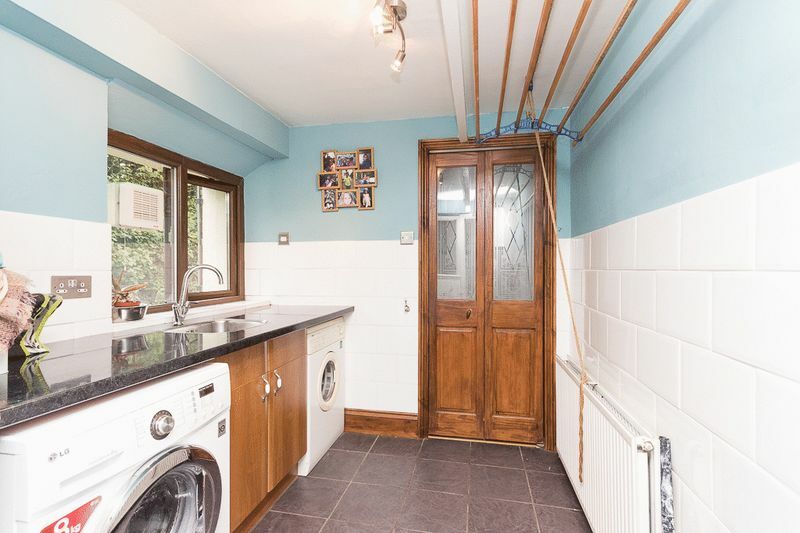 There is a separate utility room with space and plumbing for washing machine and tumble dryer with work surface over incorporating a stainless-steel sink with mixer tap and window to the front aspect. 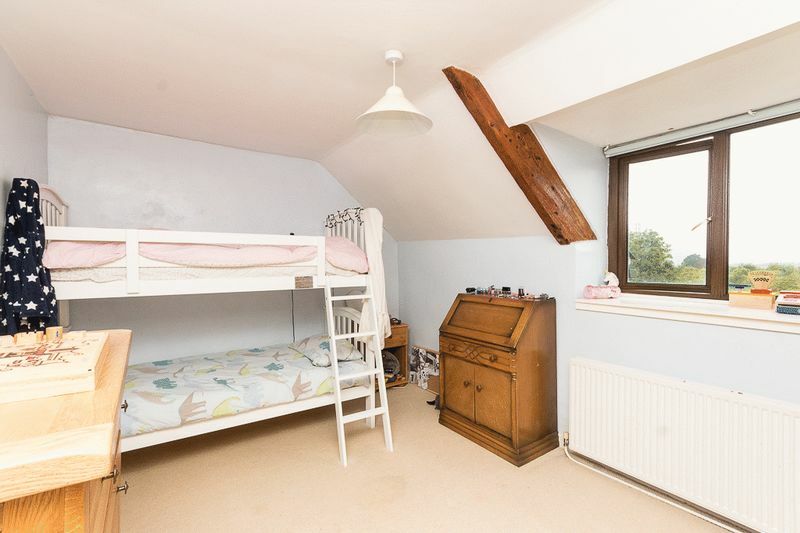 Space for an American-style fridge freezer. A folding door leads into the downstairs cloakroom with a corner shower cubicle, wash hand basin and WC. 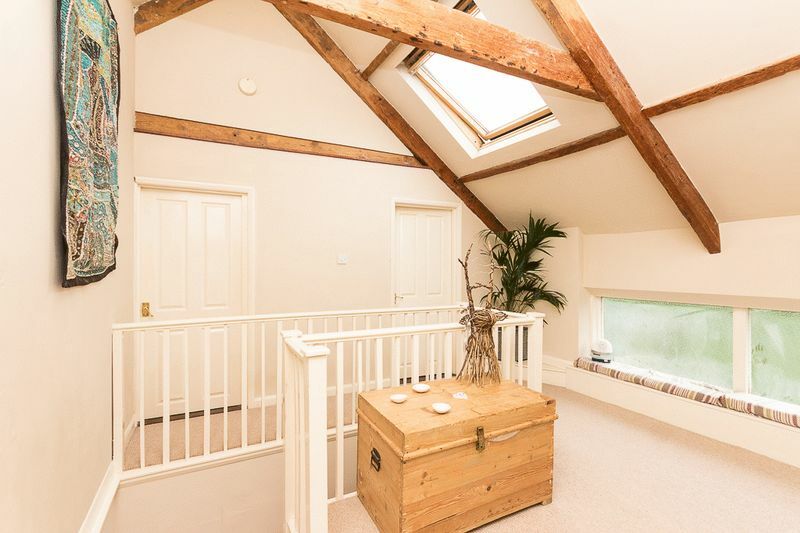 From the inner hall stairs rise to an impressive landing with a vaulted ceiling and exposed timber beams. 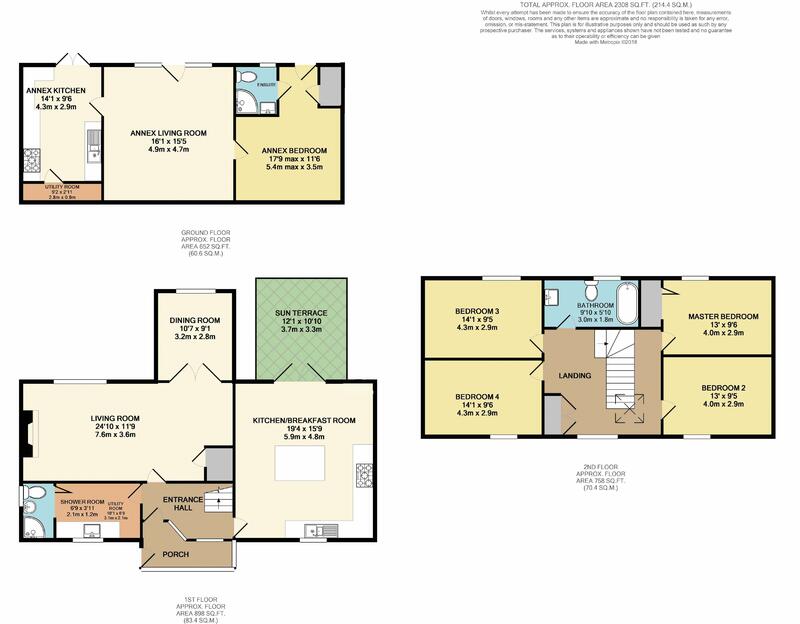 There is a skylight and a further low feature window allowing for a bright space with doors off to all bedrooms and the family bathroom. 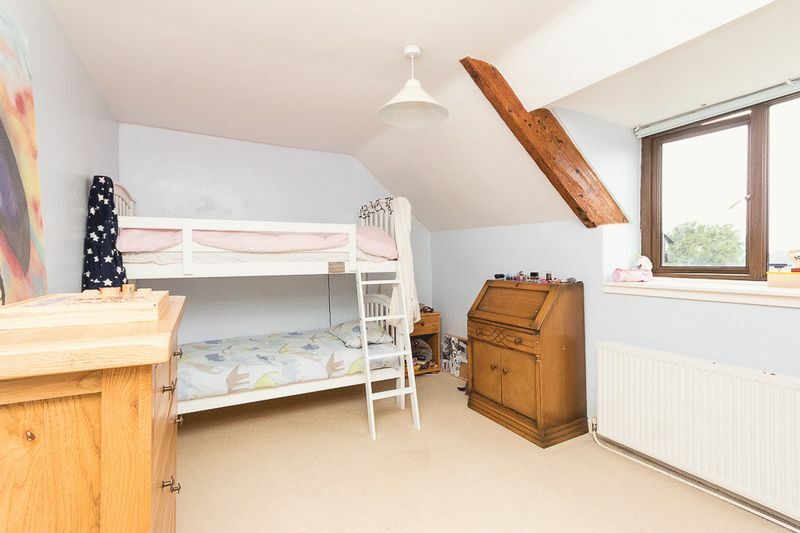 Bedroom one is a good size double room with a built in wardrobe. 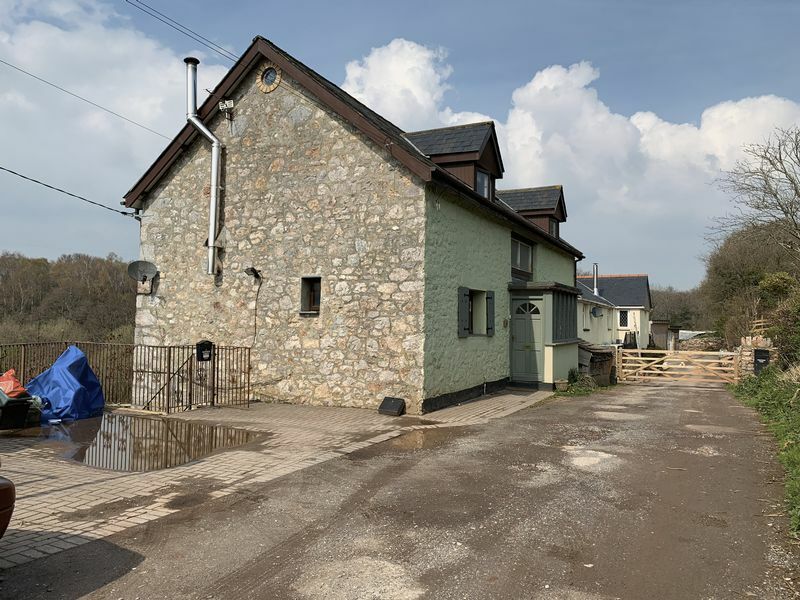 All bedrooms are double rooms and enjoy a pleasant outlook to either the front aspect to the fields or to the rear aspect to Dartmoor and across the treetops. 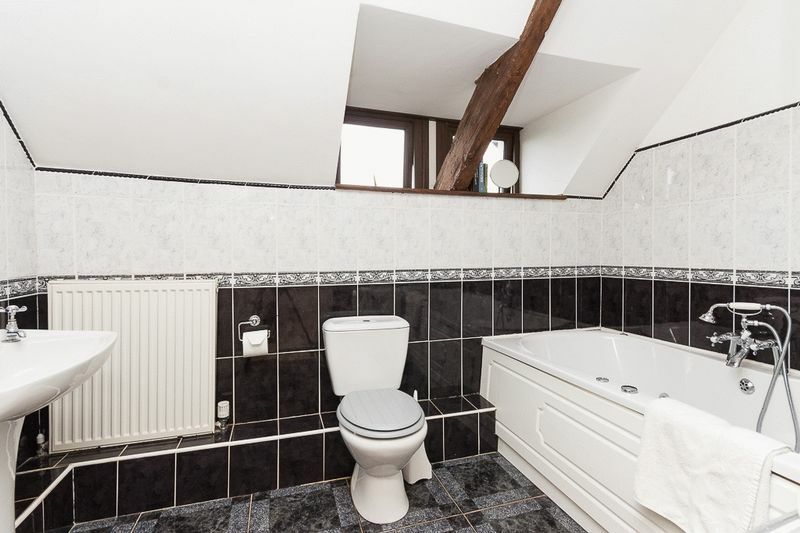 The family bathroom has been stylishly tiled and consists of a three-piece suite comprising a whirlpool bath with mixer tap over, WC and wash hand basin. 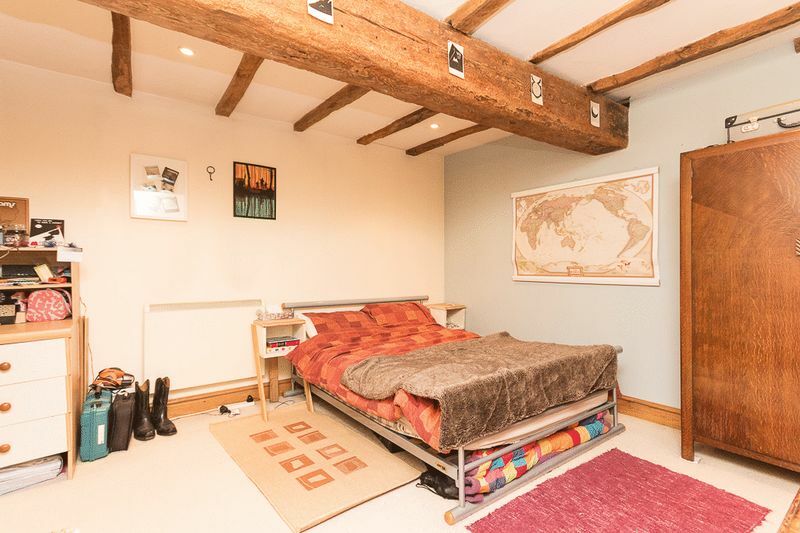 Double glazed window with timber sill and exposed timber beam. 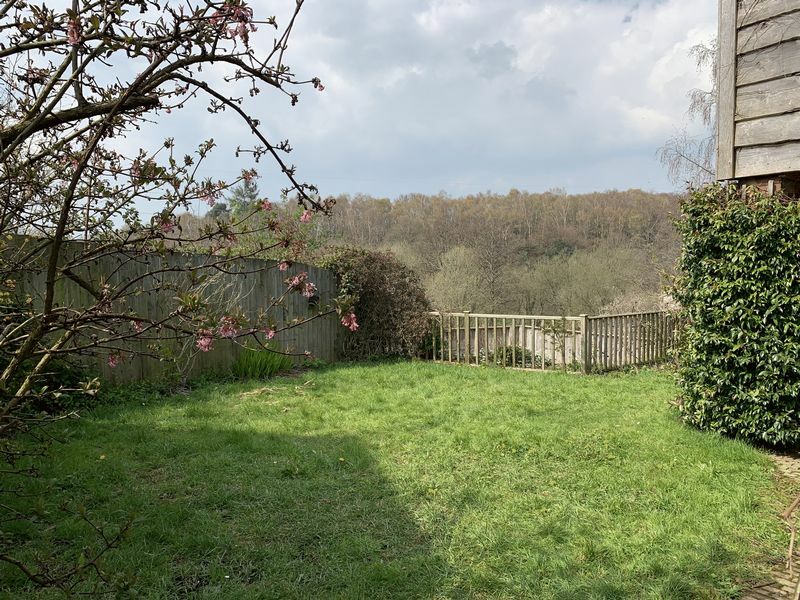 The property is approached from a shared driveway with a brick paved parking area to the side of the property offering off-road parking for two cars. 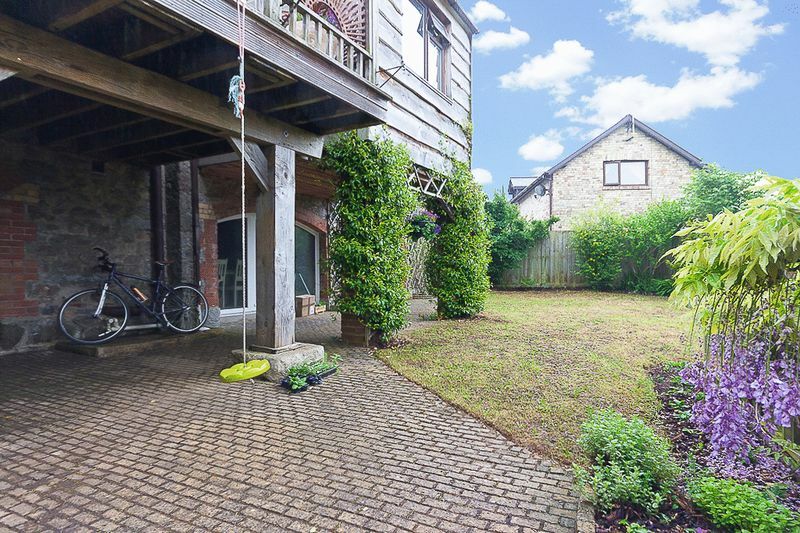 Steps down the side of the property lead to the rear garden and separate entrance door to the Annexe. The garden is delightful and backs on to woodland, it has been well landscaped into two levels, one a lawned garden with bark and shrub borders and a patio area which continues under the high-level mezzanine and steps lead down to the second area which has been enclosed and decked for low maintenance with a trailing wisteria adding a wonderful burst of colour! 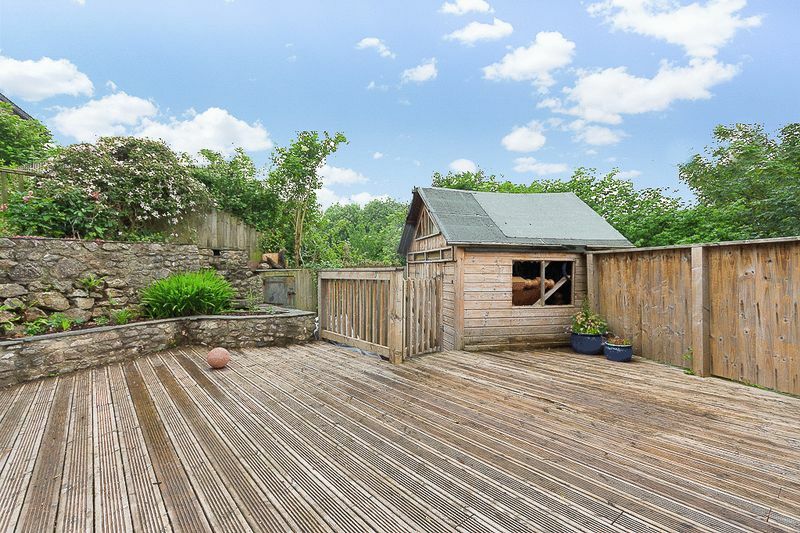 A superb spot for a BBQ, chiminea, table and chairs! There is a shed ideal for storing the outdoor furniture. 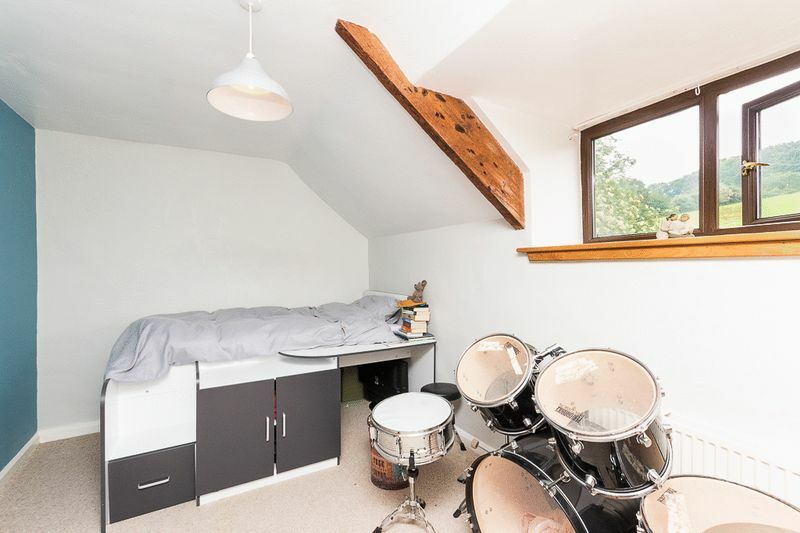 Annexe Council Tax Band: A We have been advised that the balcony to the rear of the property requires maintenance or replacement. From the Ten Tors public house Kingsteignton. Exit car park turning right onto the B3195 immediately turn right onto Brook Way, turn left at the first round about on Hestow Road, take the first left onto a private road signposted "Ponswine Farm" the property can be found after roughly 500ft on the left.